Subtitle Men. Women. Nature. Nurture. 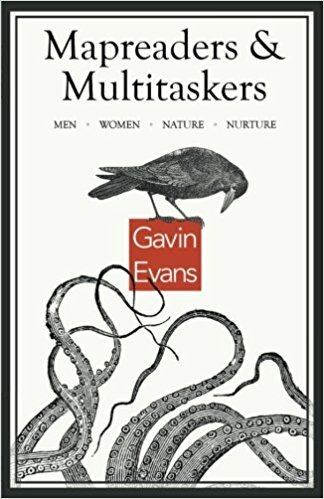 In Mapreaders and Multitaskers, Gavin Evans argues that male and female minds do not emerge from different planets, and that our emotional and intellectual capacities are moulded more by culture than biology. Gavin Evans was born in London but grew up mainly in South Africa where he became involved in the anti-apartheid campaign while working as a journalist. He returned to London 24 years ago and teaches at Birkbeck College, University of London. Mapreaders and Multitaskers is his seventh book. Absolutely fantastic book. I loved it. Amazing book! Really important in an age where these ideas are sneaking back into normal politics. A anti-handmaids manifesto for our time! Fantastic book – such an interesting read! Fantastic, a must-read book for a generation! A fantastic, balanced read, dispelling myths. A brilliant book which successfully undermines so much conventional but patently wrong information on gender differences. Should be read by all. There is tons of psychological research studies that support what Gavin Evans explains and demonstrates in his excellent,true,important book! Very important book in the age of me to, methodical and scientific argument that undercuts the sexism nonsense spouted by populist leaders. Insightful. Evans directs his original and combative voice against erroneous old wisdoms about gender. Liberating. Immensely readable, relevant, important and much needed wisdom!